Earth Day was born from former Wisconsin Sen. Gaylord Nelson’s desire to bring environmental issues to the forefront of the national political agenda. The first Earth Day, held on April 22, 1970, was followed by the creation of the U.S. Environmental Protection Agency (EPA) as well as the passage of the Clean Air, Clean Water and Endangered Species Acts. Today, more than 1 billion people will participate in Earth Day activities, raising awareness about critical environmental issues. In celebration of Earth Day, we’re taking a look at just how far satellite imagery has come since 1970. 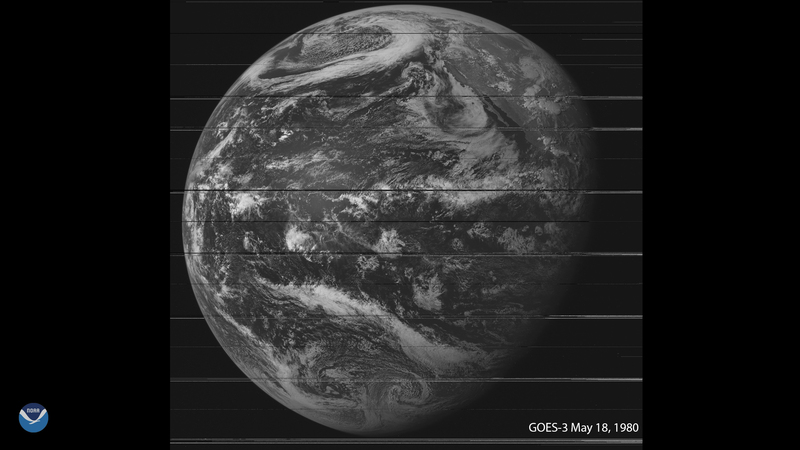 The imagery above was taken on the first Earth Day by the Applications Technology Satellite-3 (ATS-3), which was an experimental geostationary satellite positioned in the same orbit that our GOES East and GOES West satellites occupy today. Essentially, this NASA-operated satellite was a precursor to the Geostationary Operational Environmental Satellite (GOES) series, the first of which launched on Oct. 16, 1975. 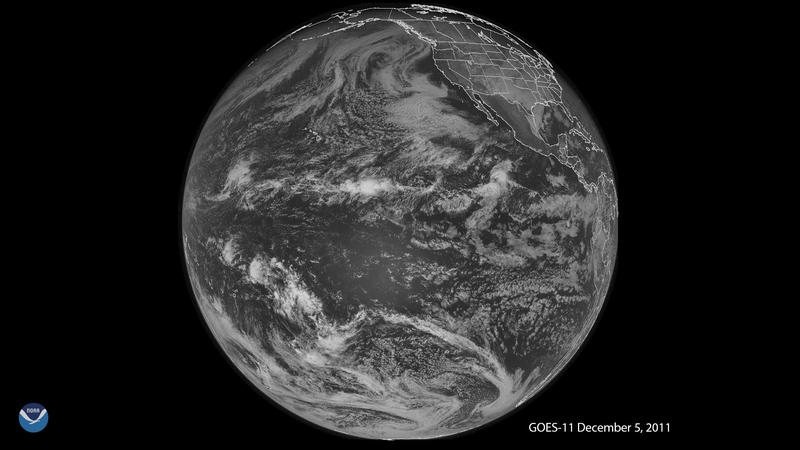 If we fast-forward a decade, we’re already on the third iteration of the GOES spacecraft. 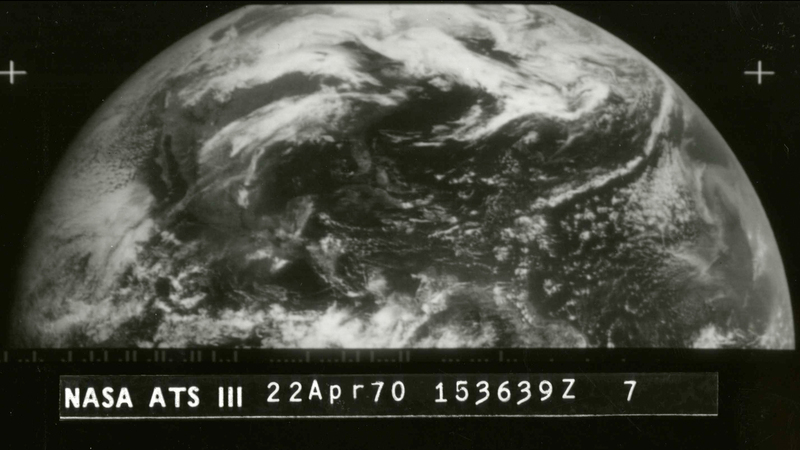 Early GOES satellites only viewed Earth about 10 percent of the time and provided data in two dimensions. On May 18, 1980, the GOES-3 satellite famously captured a plume of smoke billowing from Mount St. Helens after it erupted. NOAA used the GOES-3 satellite to track ash clouds and warn pilots of potential hazards in the sky surrounding Mount St. Helens. Can you believe what a difference just over 30 years makes? Launched on May 3, 2000, the GOES-11 satellite spent several years at 104 degrees west longitude because GOES-10, which was in the GOES West position at the time, exceeded its design life. 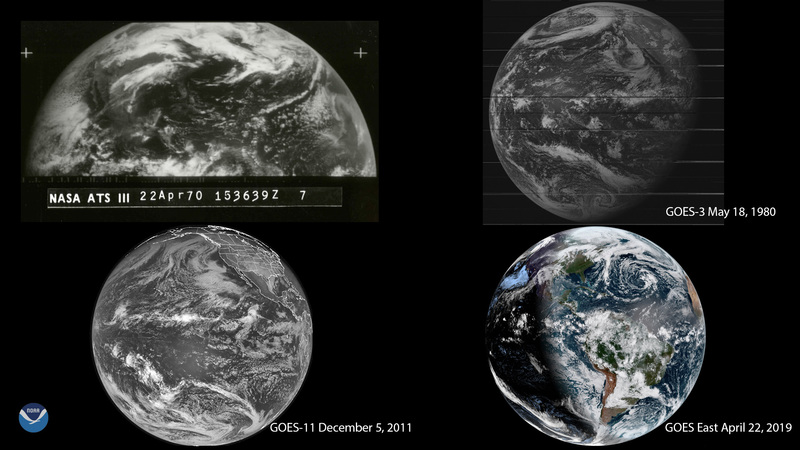 GOES-11 only spent about five years in the GOES West position before being replaced by GOES-15. The GOES 8-12 satellites were a major advancement because they could transition from routine scans to focus on a more localized area to deliver short-term weather forecasts. 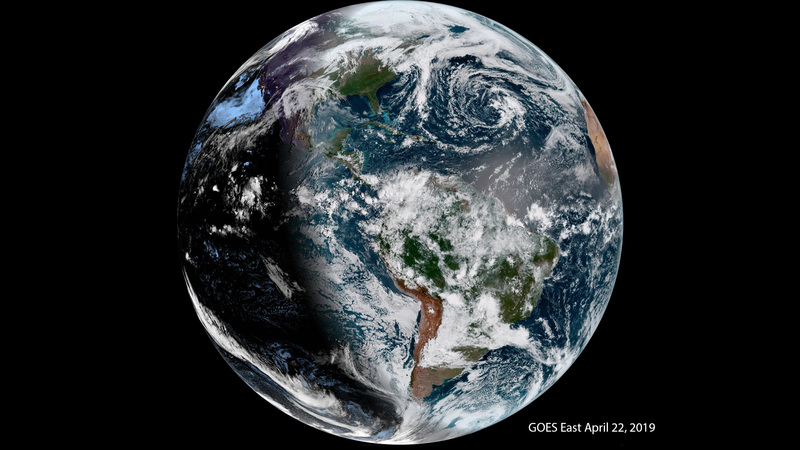 Last, but certainly not least, let’s take a look at our beautiful planet from GOES-16, which currently resides in the GOES East position at 75.2 degrees west longitude. GOES-16 and its sister satellite GOES-17 (GOES West) keep watch over North and South America from the west coast of Africa all the way to the Pacific Ocean. The satellite's high-resolution imagery provides optimal viewing of severe weather events, including thunderstorms, tropical storms and hurricanes.